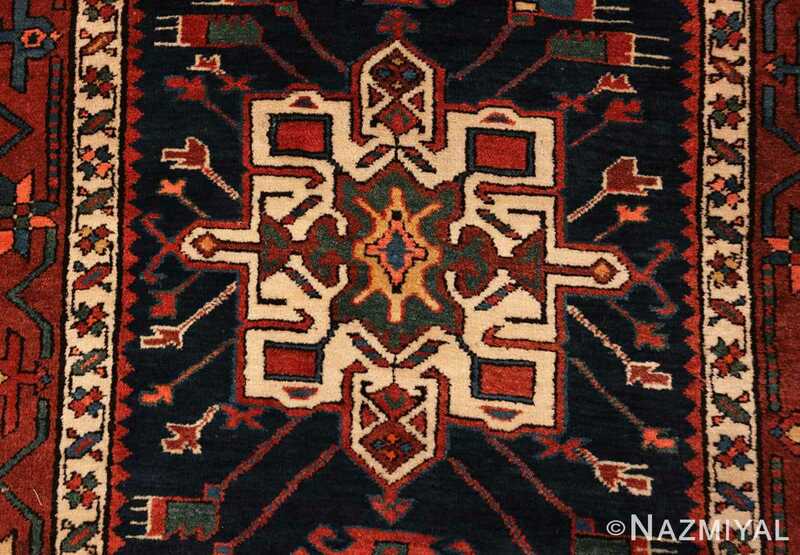 An Impressive Geometric Design Antique Northwest Persian Runner Rug, Country of Origin / Rug Type: Antique Persian Rugs, Circa Date: Early 20th Century – This vibrant antique runner rug from North West Persia is an excellent example that uses traditional geometric rug design motifs that tell a story and convey special meaning to those who can understand them. 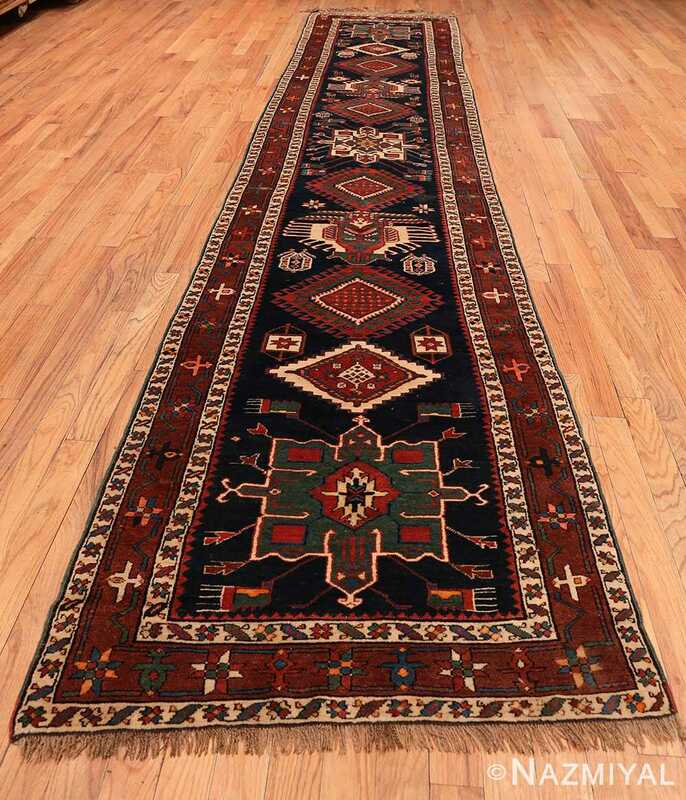 The bright colors really pop against a darker background which make this antique Persian rug stand out and will make it a centerpiece for a long, narrow space. This fascinating antique Northwest Persian carpet was created in the early 20th century and is well preserved. 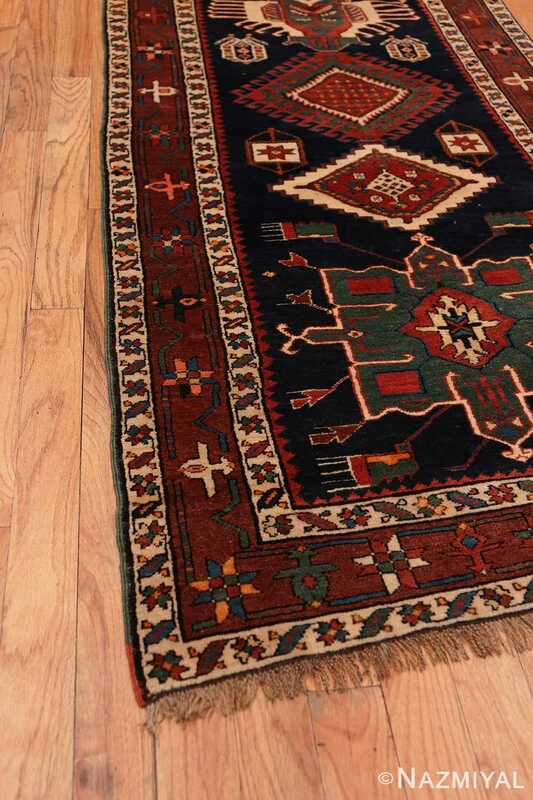 The beautiful saturated rug colors remain as bright and vibrant as when it was created. This antique Persian runner rug has received attention and care throughout its history. 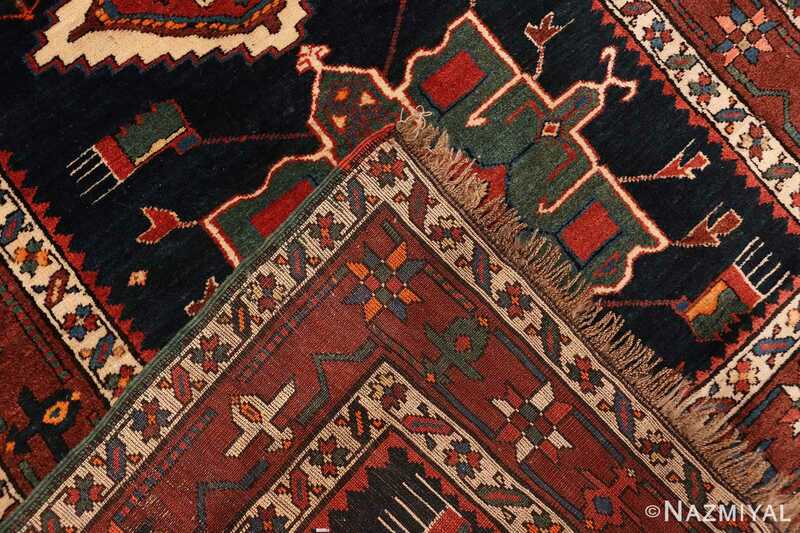 The design of this antique rug is fascinating for several reasons. It uses a central motif that serves as a medallion, with the major design elements radiating from the center. The major design elements repeat, but the minor ones do not. 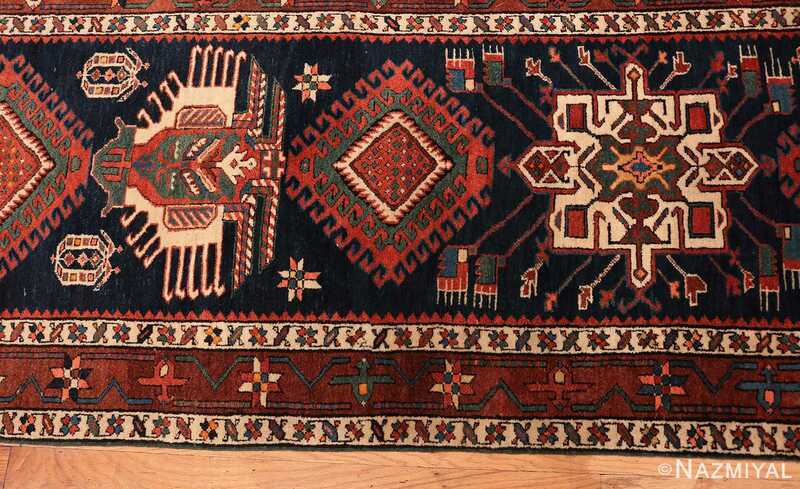 One can find many traditional symbols scattered throughout this antique Northwest Persian runner rug including the star, beasts of burden and diamonds. 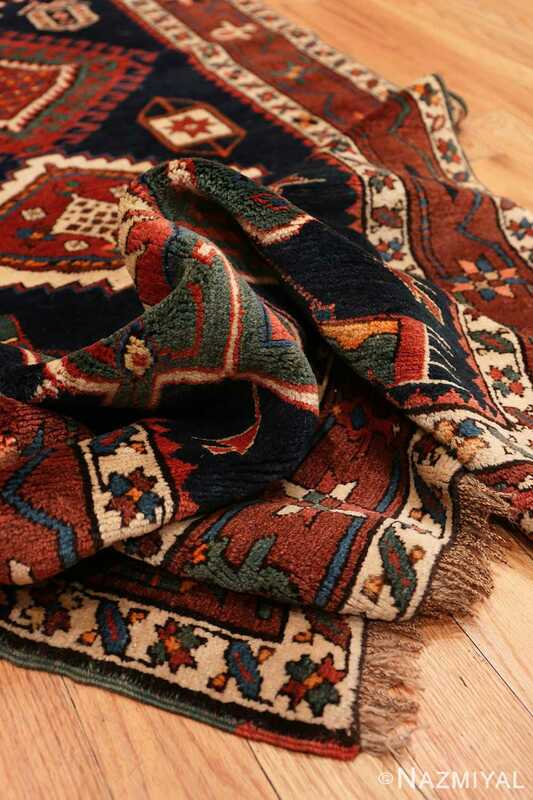 Camels are a sign of wealth and stars are a symbol of good luck and spirituality. The diamond can symbolize a woman, and two diamonds together can symbolize men and women, representing the family. 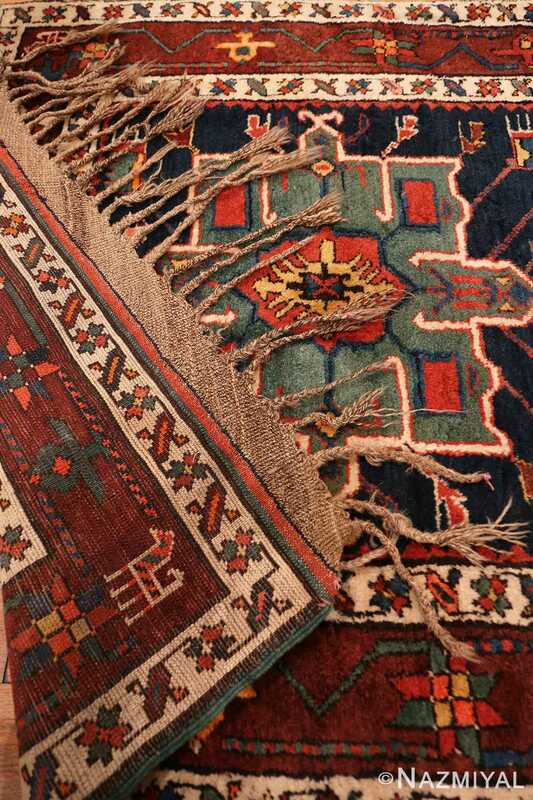 Through the use of these ancient symbols, the rug weaver wished to bestow these qualities on the recipient. 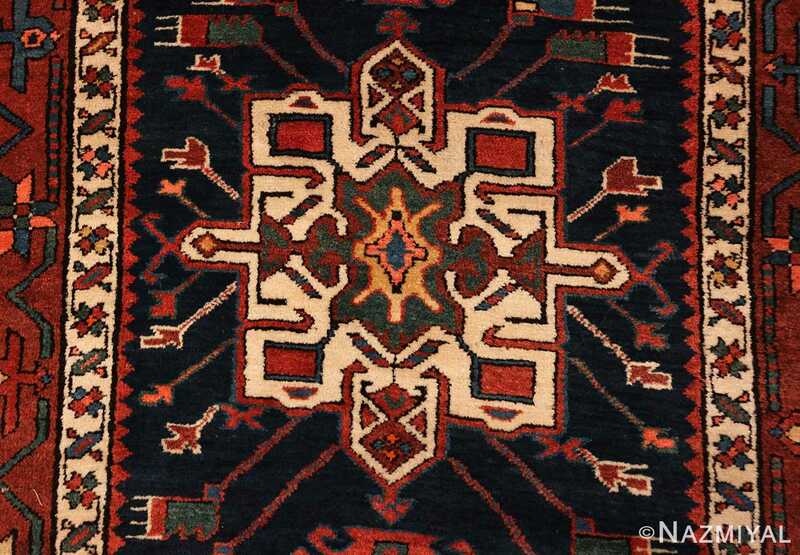 This antique Oriental rug is a beautiful, tribal piece for its colors, design, and symbolism. It would make an excellent addition to any traditional or modern space in the home or office. 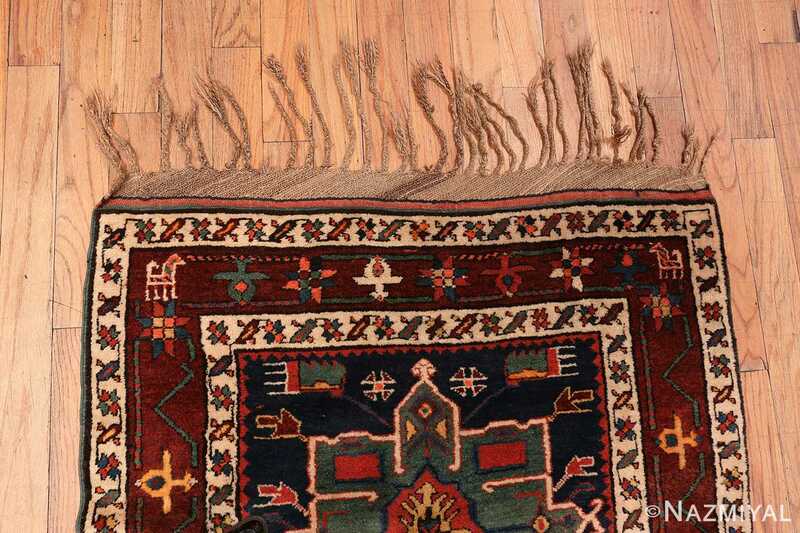 This Northwest Persian runner has been handed down for many generations and will continue to be a treasured heirloom piece for many generations to come.